Smoothies...yes SMOOTHIES! I swear, I could live off of smoothies if I had to! 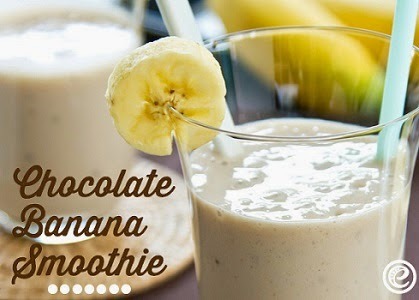 When it comes to smoothies, I love it when you can combine two of my favorite things; chocolate and bananas! The great folks over at eMeals sent over this Chocolate Banana Smoothie recipe for me to share with all of my foodie blog readers. It looks delicious and I am definitely going to make one, okay...maybe two! Instructions: Peel frozen bananas; chop into pieces. Combine bananas and remaining ingredients in a blender. Cover and process until smooth. Disclosure: The recipe and photo is courtesy of eMeals.